A modern metal style free blowing ligature. 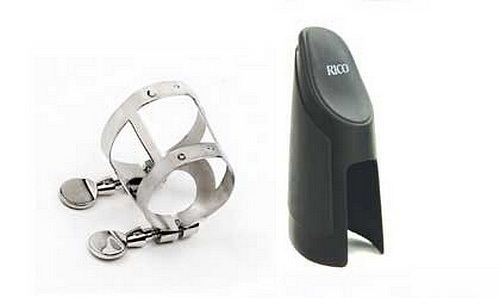 Produced by Rico, this ligature fits most standard size plastic and ebonite alto sax mouthpieces. The two screw classic design is easy to use and the 4 small touch points on the ligature hold the reed securely yet without restriction. Supplied with relevant sized Rico plastic cap.